I didn’t want to do it. I didn’t want to jump on the bandwagon. Sure, I love her words and her wit and her candor, but I wasn’t going to gush about it and fall all over myself and sing her praises. Why? I don’t know. Pride? Envy? Probably both. Probably, shamefully, more of the latter. And then she posted her Ted Talk. And I watched it. And I’ll tell you what, friends. It rendered me speechless. All my life, I’ve been an over-sharer and an over-indulger and an over-the-topper. I filled notebook after notebook with bad poetry and horrific (albeit original) song lyrics and embarrassingly awful short stories. I shared them with all my friends, with anyone who would sit down long enough to listen or to read. I was a blogger before blogging existed. I was the Trapper Keeper Blogger. And why did I share? To be understood. And eventually, to seek to understand. I know that’s out of order — I always was a little backwards. And truth be told, I always wanted to use the ketchup before I passed it to anyone else, too. I’m learning. I have lots of life left to get it right, or at least get it better. Even though I was bossy and loud and obnoxious as a kid, it was my protective armor. Underneath the weight and volume of my own voice, I never really felt right. I used to experience what I’d call my “out of place feeling.” Somewhat ethereal and fleeting and hazy, this feeling always left me with a tiny, empty ache right in the middle of my heart. I was different. I didn’t fit in. I didn’t have the right clothes, the right house, the right vacations, the right smile. I was freckled and awkward and channeled all that discontent into athletics. Then I’d beat all the neighborhood boys in basketball and feel a little better about myself… momentarily. And it wasn’t just my childhood. I’ve admittedly pushed my “out of place feeling” away with food and alcohol and extreme exercise and angry words meant to build an unnavigable stream of isolation. I’ve loved too hard and hurt too much when it wasn’t reciprocated. I’ve cut too deeply out of anger and brokenness and self-preservation. Don’t we all — on some level — do it? And aren’t we all, as human beings, ultimately looking for the same thing? Love? Understanding? A hand to hold? Kindness and hugs instead of accusations and judgment? Healing, welcoming, open-arms words instead of impenetrable silence? I love you instead of indifference? Take a moment to watch her, my newest hero, Glennon. The one I tried to hold at arm’s length and admire from a safe distance. Life, it seems, had other plans for me. 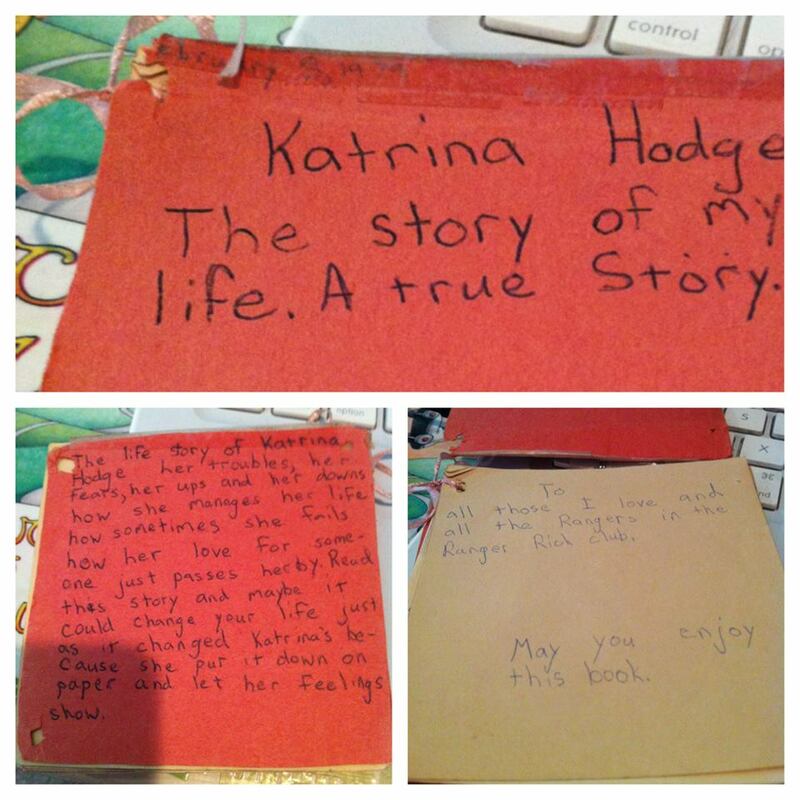 This entry was posted in Big Thinks and tagged autobiography of an 8-year-old, basketball, blogging, Carry On Warrior, comparing yourself to others, envy, feeling out of place, Glennon Melton, hugs, human beings, ketchup, life lessons, love, not measuring up, pride, seek first to understand, seeking understanding, selfishness, sharing your story, Ted Talk, Trapper Keeper, understanding, writing your life. Bookmark the permalink. As always, I love your writing and your honesty Katrina. I love how she says…. in public we always say we are fine…. in private we will the truth through our actions (over eating, etc)…. and was interested that as a recovering addict that’s how she defined addicts (truth tellers behind closed doors). Thanks for sharing the video…. beautiful story of redemption and healing. Wow. Just Wow. Thank you Mrs. W.